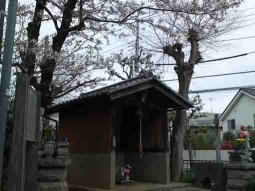 There is a small shrine called Miyonoin quietly standing in the residential area in Sugano Ichikawa city. It was dedicated for Mr. and Mrs. Sugano who had stayed Sugana to hold memorial services for Masakad Taira and his officers and men died at the Tengyo War for their life long. 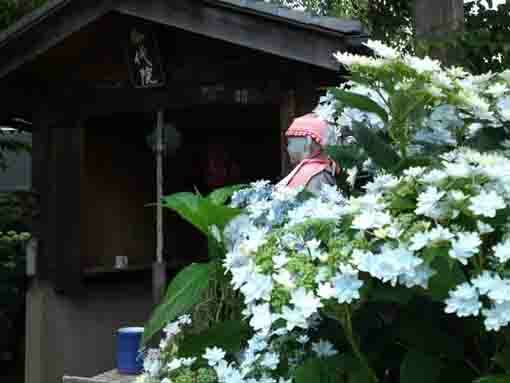 Miyonoin Shrine is brightly decorated with some cherry blossoms blooming in spring and hydrangeas blooming in early summer. 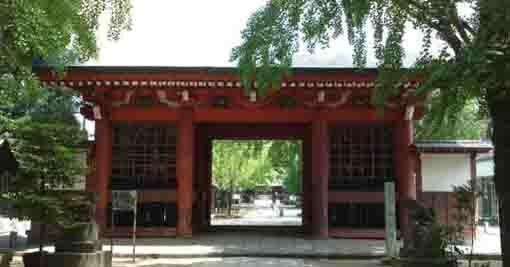 Why don't you visit Miyonoin Shrine? 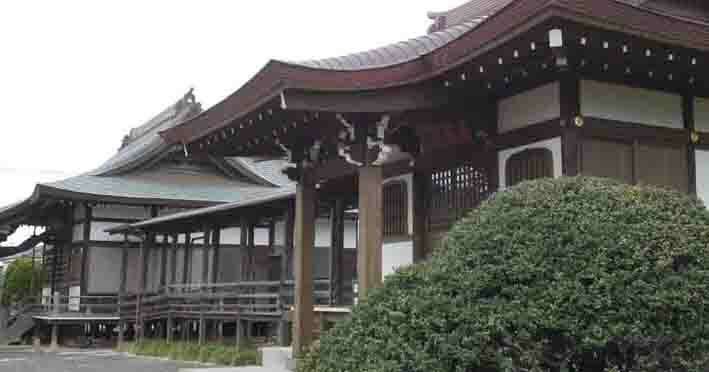 According to legends, Mr. and Mrs. Sugano came to Kanto region to defeat Masakado Taira first during the Tengyo War in 940, so they built their house here in Sugano. 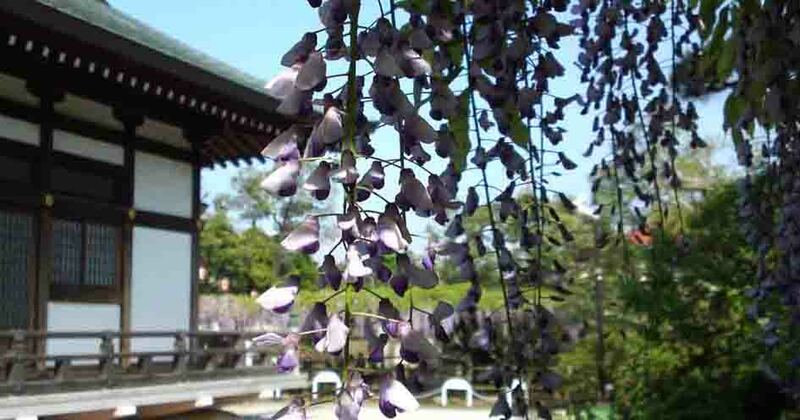 Since Mrs. Sugano was very beautiful, she could become Masakado's wife named Miyanomae, and she could enter into Onojo Castle. She inquired into the actual state of matters of Masakado and his arms then she informed them to her husband, so it contributed to fall the castle. 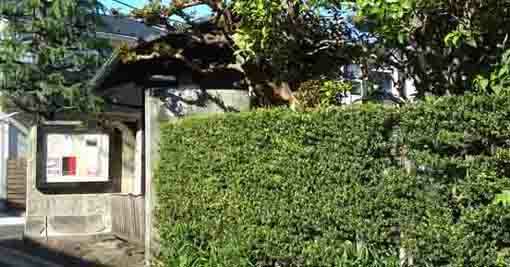 She was praised that she achieved remarkably to defeat Masakado Taira. 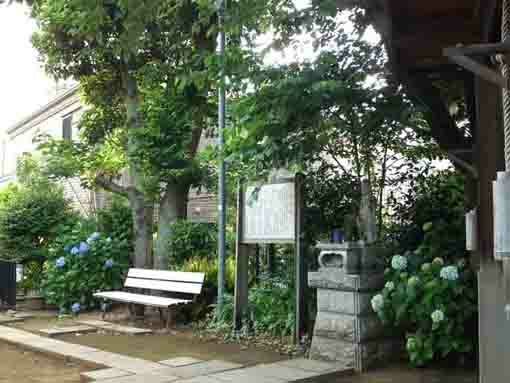 After that, Mr. and Mrs. Sugano took the tonsure and became bonzes, and they stayed here to hold memorial services for Masakad Taira and his officers and men died at the Tengyo War until they would be passed away. 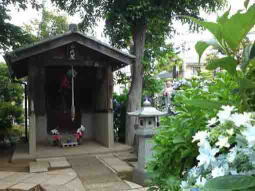 After their death, people lived in Sugano felt pity for their will so they built their tombs to dedicate them. 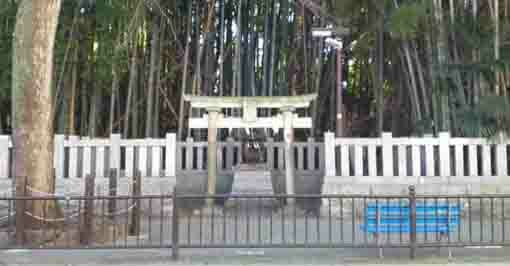 That was the origin of Miyanoin Shrine. 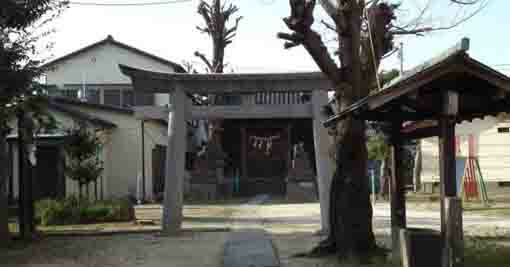 Later their tombs could be rebuilt by the people every time when they were destroyed, and the legend about Miyanoin Shrine has been kept and passed down now. 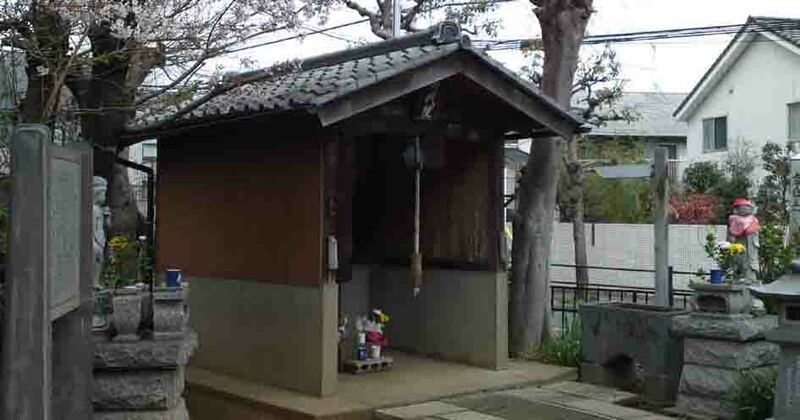 Moreover, another legend says, when someone catches a cold, the one borrows a tea cup putting in front of Miyanoin Shrine then the one could recover soon after taking medicine with a hot water from the cup. The customary that the one would return the cup with new one after recovering spreads among the community. 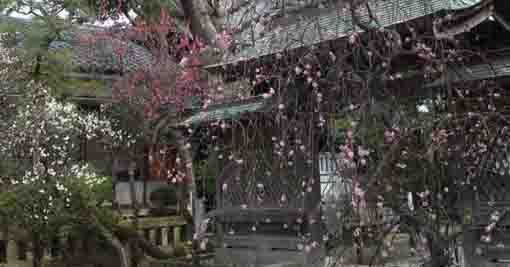 Miyonoin Shrinehas great accessibilities from both Narita and Haneda International Airport. 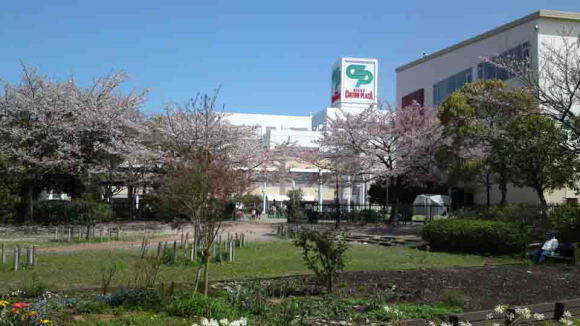 From Narita International Airport, take Keisei-line and get off Sugano Sta, take minimally 45 minutes from Narita Airport. And also take JR Sobu-express line, transfer the line at Funabashi to Keisei-line, get off Sugano Sta. 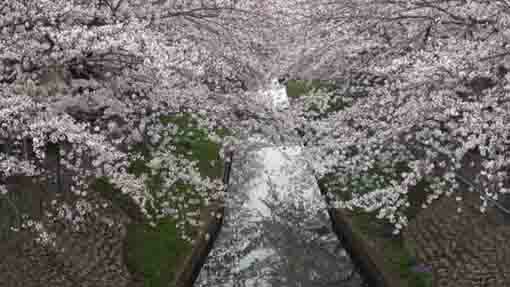 From Haneda International Airport, take Keikyu-line bound to Narita, and get off Sugano Sta. 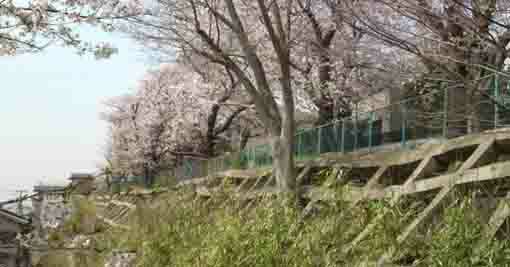 Take 10 minutes walks from Sugano Sta.